Advertisement on the catalogue CD main page. 750-1000 CDs are produced for every fair.CD design and printing fall under the responsibility of Tüyap. 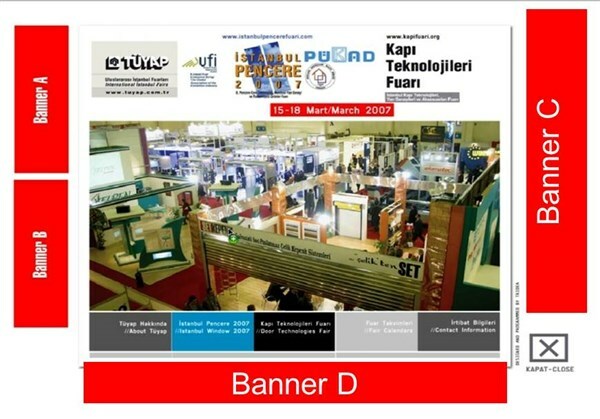 Advertisement banner design falls under the responsibility of the client. Via banner, a link is given to an internet site belonging to the firm.